ACSTAR is licensed in all 50 states and is rated A VI Excellent by A.M. Best Company and is on the United States Treasury Department’s list of approved sureties. We are an open market to agents and we write single bonds up to $8 million and aggregate programs up to $50 million. However, we don’t consider any bond too small. Learn more about us by clicking here. 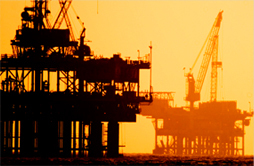 Protecting an investment in America’s energy industry. ACSTAR bonded an $18,000,000 contract for Eastern Ship Building Group Inc., of Panama City, Florida. The contract covered the construction of the M/V Harvey Supplier, a huge supply vessel that’s designed to service offshore oil platforms in the Gulf of Mexico. Ships of this type typically transport goods and personnel to and from oil platforms and other offshore structures. Connecting two cities with a safer bridge system. The Bay Bridge is actually a system of bridges that connect the cities of San Francisco and Oakland, California. 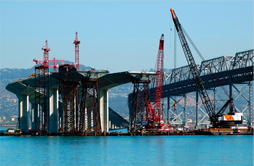 ACSTAR issued a bond to cover a $4,000,000 contract to provide elastomeric bearings for the new “Skyway Segment” of the eastern span from Oakland, California to Yerba Buena Island. Bonding the finishing touches in Miami. 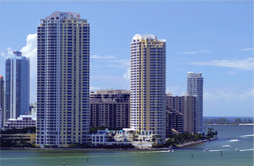 ACSTAR covered the contractor who handled installation of all the interior millwork and cabinetry in a major new condominium complex in Miami, Florida.